Please Join Us! Register with these forms. A copy of the flyer you can download and print to tell everyone you know about our event! Registration Entry Form. Please download this and print it, fill it out, and bring it with you. PledgeForm Download and print this, and see if your friends and family will support you in raising money for the clinic. Waiver Form Please download, print and bring with you. 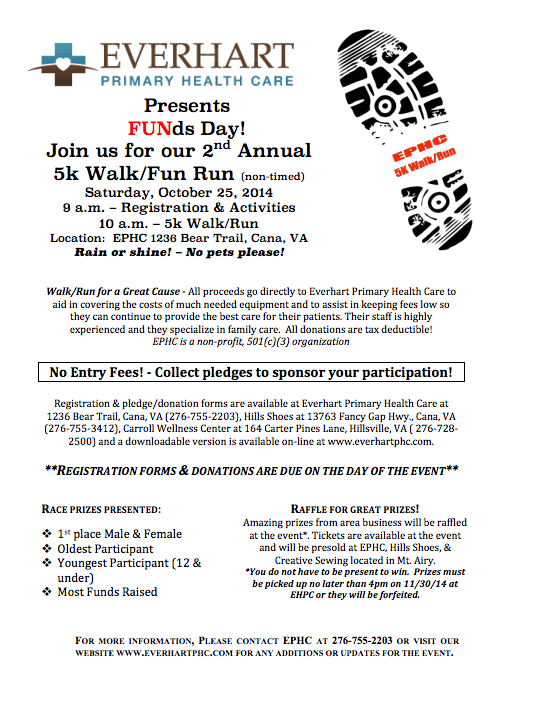 You will need a signed waiver to participate and/or volunteer. Follow along with the progress. JOIN US ON FACEBOOK!